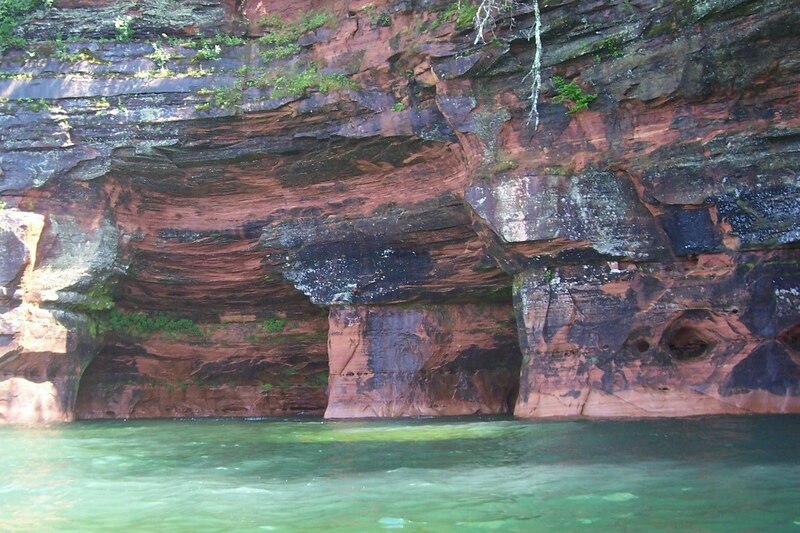 The Sea Caves in the Apostle Islands National Park are very accessible to paddlers. The trip along the coast starts at Meyers Beach on the western shore of the Bayfield Peninsula and takes you for several miles along the caves area. The trip takes several hours or longer, depending on how long you want to linger. The caves are entrancing, so I took my time paddling into them and looking up at the sandstone rock arches. Watch out for paddling here, the water is cold, I wore my wet suit, and the winds can change quickly. By the time I turned around to head back to the parking lot, I was fighting brisk head winds and was paddling into the waves.